SEO is completely based on how the search engines work. The name is the abbreviated form of search engine optimization. The basis of how it works is based solely on the algorithm being implemented by the parent search engine. This might change over time and thus when you are implementing SEO this must be kept in your mind. For instance, Google is there changing its algorithm constantly to improve the search results. When it comes to companies like Google, they have a lot to lose if they do not provide you with a proper accurate result. Thus, they keep on working with their algorithms. 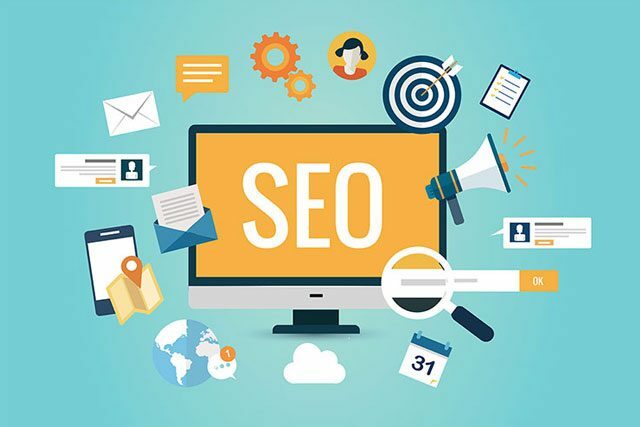 Now the major concern for you would be to implement good tactics in such a way that even though the algorithm of Google or any other search engine changes, you should be unaffected and your SEO should still work well for the organic search. SEO strategy could not be changed regularly with the change in the algorithm. This would be a tedious work to do, but rather modified or improved to keep up with the organic search traffic. Here are a few ways to improve the SEO for getting the organic search traffic. When it comes to SEO, people usually overlook the fact about the page speed. Meanwhile, Google carries on emphasizing the importance of having a quick loading web page. Think about it for a second. If you were to Google an answer and the first link that you clicked was taking time to load, wouldn’t you move on to the next link? You should always be on top of the game when it comes to increasing page speed. You would not want your customers visiting other competitors’ websites. Few ways to achieve this is by compressing the images in your website, controlling the browser caches, by reducing the load on the server end (this could be done by performing simple tasks in the front end itself), etc. As reported, from 6th of August, Google started using HTTPs as a ranking signal. Here, the HTTPs stands for hypertext transfer protocol secure. So, for finding the secure part one has to purchase and activate the secure sockets layer. This would be a one-time investment and a much-needed one as well. With the enabling of this network layer, there would be an improvement in the keyword rankings and organic search traffic. Apple has implemented an ecosystem. For them, the ecosystem means all their devices would be connected and sharing and transferring of data would be easier. For this case establishing an ecosystem is to make sure that your website is all device friendly. You would not want a website that is seamless when operated on your laptop but is not even user-friendly when it comes to your mobile phone. People have started to shift slowly toward smaller devices. This means you would want to focus and give priority to that too. You would not want people taking negative things about your website because of the lack of user-friendliness. This is a very bad marketing move. Thus, when it comes to SEO, give priority to all the devices equally. According to the statistics published online, tags are considered to be one of the most influential on-page SEO elements. These tags are a major factor when it comes to helping the search engine understand about your website. The primary keyword should be used at the beginning of the title tag followed by the brand name of your company. This is important because when it comes to displaying results on Google, they display the first 50-60 characters of the title tag. This should be something that when the user glances over it should catch the eye. Usually, these are the factors that make the user visit your website in the first place. The way it should be in is Primary Keyword | Secondary Keyword | Brand Name, format. This will ensure that the user gets the main key point from the name and thus click in. These are a few ways that you can improve your SEO with. If you want a more detailed and a step by step guide for implementing SEO, you can visit your Local SEO company.